Calligraphy (from Greek καλλος kallos "beauty" + γραφος graphos "writing") is the art of beautiful writing. 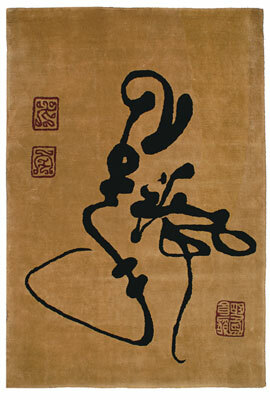 A style of calligraphy is described as a hand. Well-crafted calligraphy differers from typography; characters are fluid and spontaneous, improvised at the moment of writing. In the best examples the moving gestures of the hand are captured in a palpable pen and ink recording on the page. A full appreciation depends on feeling the rhythms and cadences of a piece of calligraphic writing. 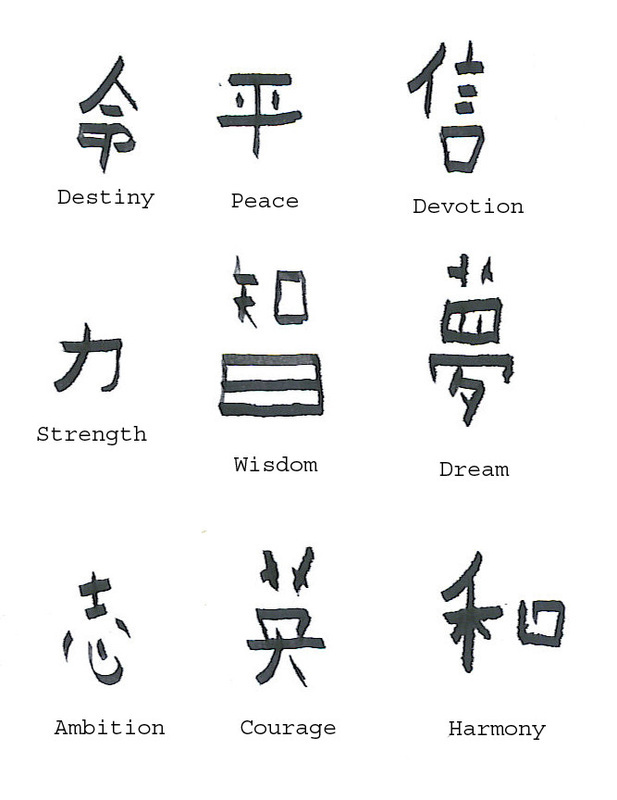 Calligraphy is not a collection of slavishly-copied standardized hands. Letters may appear to march, to run, or even blow and flutter as if in in a breeze. Masters of the art typically have several styles all uniquely their own, that is, one hand is a virtuoso of many styles. Ink is readily obtained at most art-supply and stationery stores; black is traditional for invitations and formal correspondence. Gouache is a type of opaque watercolor paint that you mix with water (aim for the consistency of cream); it can be used as an alternative to ink, which can be translucent on colored paper. Pen holders (handles with metal ends to hold the nibs) can be straight or oblique; try both kinds to see which works better for you (oblique may be more comfortable for right-handed writers). Fit the holder with a nib, or tip. A nib's concave, split design makes it flexible, allowing you to make thick and thin lines. Guide sheets have horizontal and sometimes diagonal rules that help you space letters and align them consistently as you learn. On the final products, use a ruler and pencil to make lines on your envelopes or other paper; erase after the ink dries. Paper should be a plain-finish stock with a smooth, flat surface; ink smears on shiny stock, and the nib can skip or catch when pulled across a richly textured paper. You'll also need a blotter to rest your pen and catch drips; you can use any soft cloth. Dip the pen into the ink pot until the hole in the nib is covered. 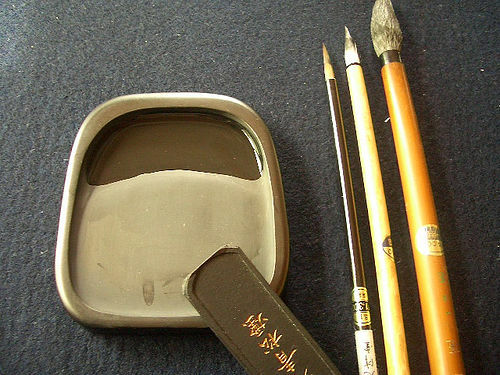 Tap the nib on the rim of the pot to remove any excess ink, then make a few strokes on scratch paper to eliminate the possibility of blotching and dripping. Make certain you have enough ink to make solid lines that don't bleed. When the nib starts to feel scratchy, re-dip your pen. Refer to the charts in the steps that follow to learn how to create letters and numerals. To begin writing, position your paper at an angle with the pen's tip aligned with one of the diagonal lines on the guide sheet. At first, the technique may require some getting used to. 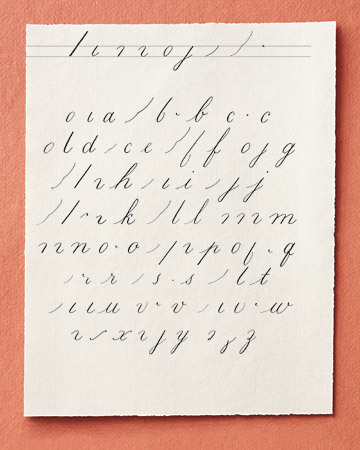 Unlike in cursive hand-writing, you must lift your pen from the paper once, twice, or three times during the course of making a single letter. This is because each letter or number is made up of a series of different strokes. Practice the strokes first, then practice combining them to make the letters.